Cracow has had a proud history of classical music, with a symphonic orchestra playing concerts in the city from as early as 1909 until the outbreak of World War II. During the war, the General Government Philharmonic was composed of Polish musicians and conducted by Germans, and the orchestra even became known as one of the best in Europe, as well as being a haven for musicians who could otherwise have faced concentration camps and death. 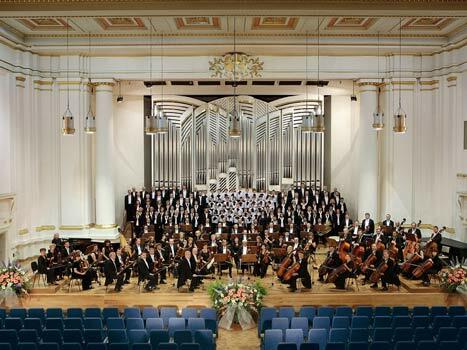 After the war, the Cracow Philharmonic was established in February 1945 as the first one in Poland, and used their current building, a former Catholic House built in 1931 at ul. Zwierzyniecka 1, as the philharmonic hall from that time. It received its patronship in 1962, changing its formal name to the Karol Szymanowski Philharmonic. Today, the philharmonic's season lasts from mid-September until mid-June, with concerts being performed several times a month. In addition, the hall itself hosts frequent performances by visiting orchestras and music groups, as well as a load of special events throughout the year. Be sure to frequently check out events calendar for the latest concert listings. Hello M Don Frampton, we will be happy to help you to organize your stay in Cracow in next year. This is our email address: book@freebookers.com, when you will send us more details, we will get back to you with all information. I would like to book a concert at the Philiamornic concert hall in Krakow but cannot find any place to do that. WOuld be useful if you published answers on the comments we send so that we dont waste time sending you a message every time we need a question answered. what is the program for october 2011? I am looking for the programme for the period 22 - 27 June 2009. Can you assist me?